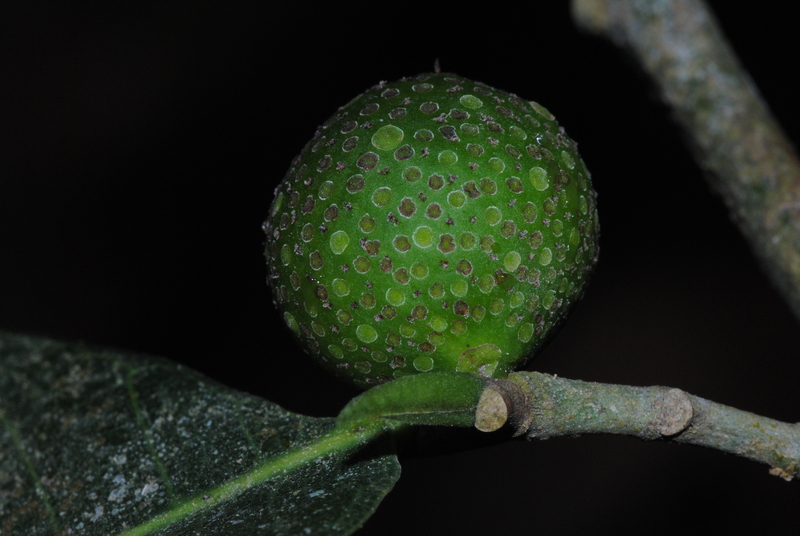 Brosimum alicastrum fruits with the fleshy skin that is consumed by bats and birds, and showing the large seed that drops to the forest floor where it can be harvested. Image by Erika Vohman. 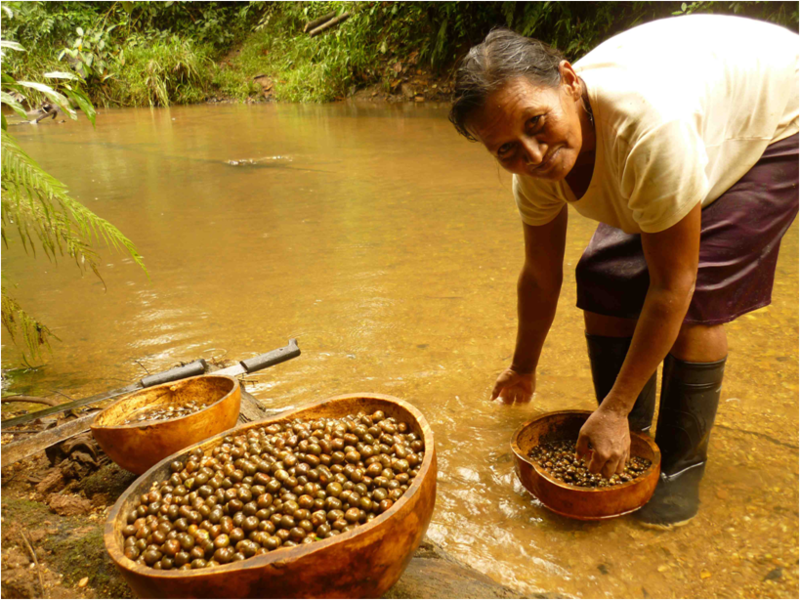 Rural community dweller rinsing Brosimum alicastrum seeds collected from the forest floor. Image by Erika Vohman. 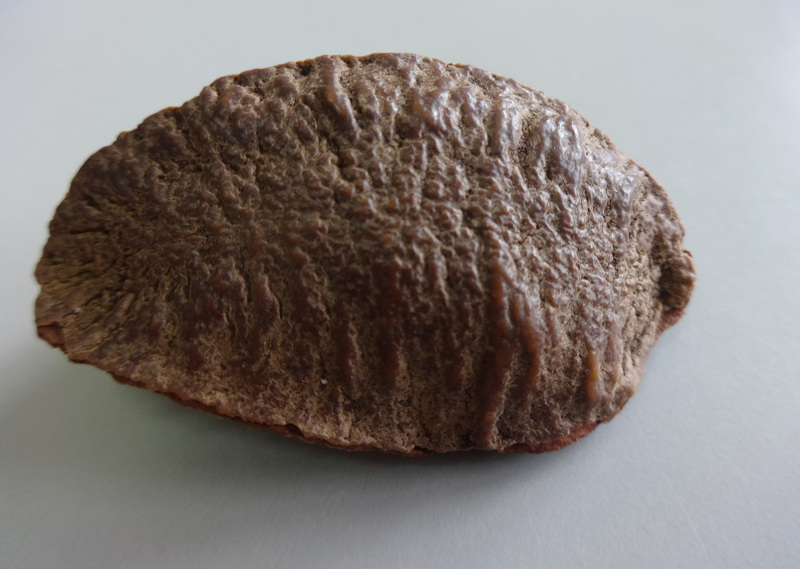 Brazil nuts are the nutlets of a large canopy tree, Bertholletia exclesa found throughout much of the Amazon. 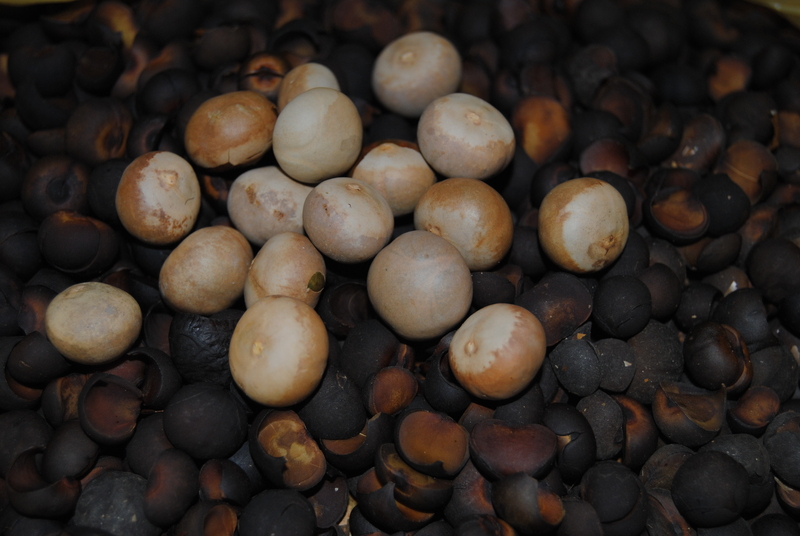 These familiar seeds are all harvested from wild trees growing deep in the pristine forest and represent the major source of income for the communities who harvest them. 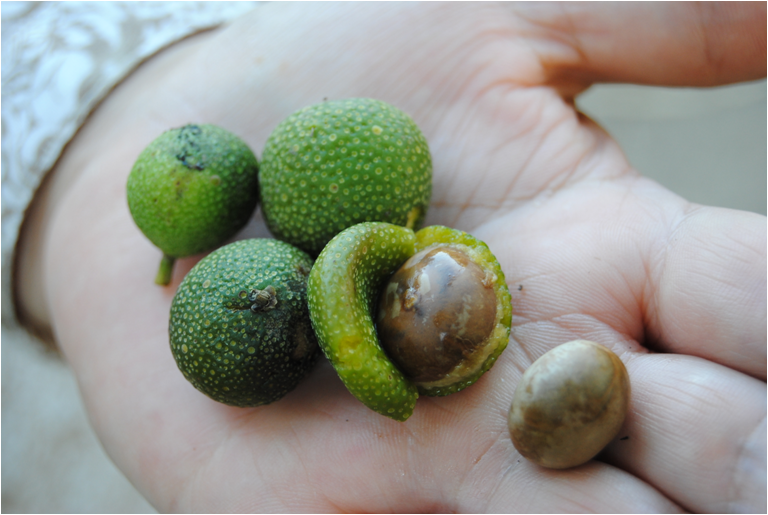 A ripe Maya Nut fruit, the sweet fleshy green outer layer of the fruit is consumed by bats, birds and monkeys leaving the intact seed to fall to the forest floor.